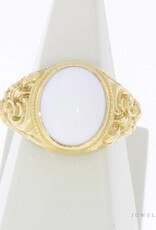 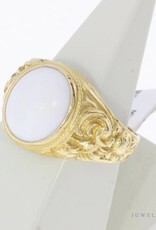 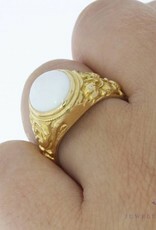 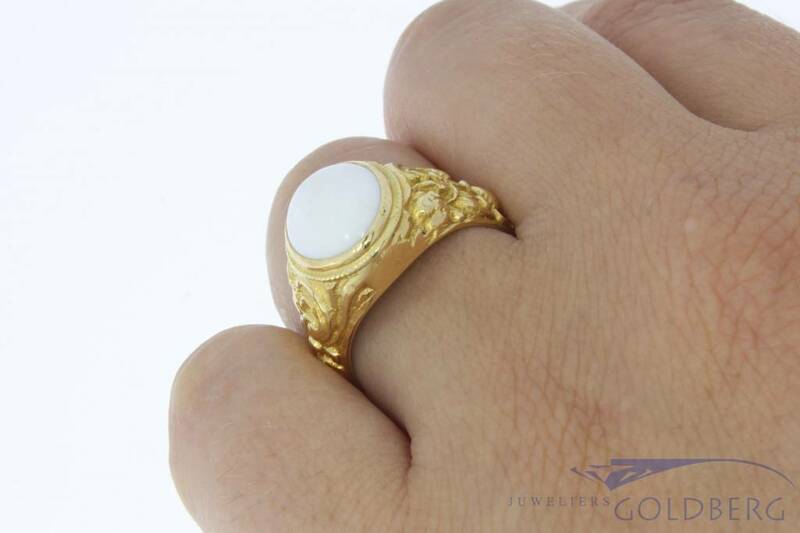 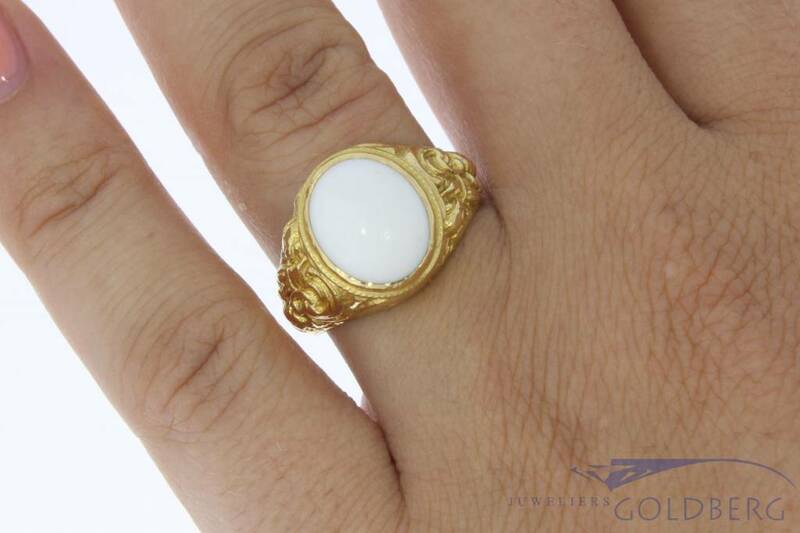 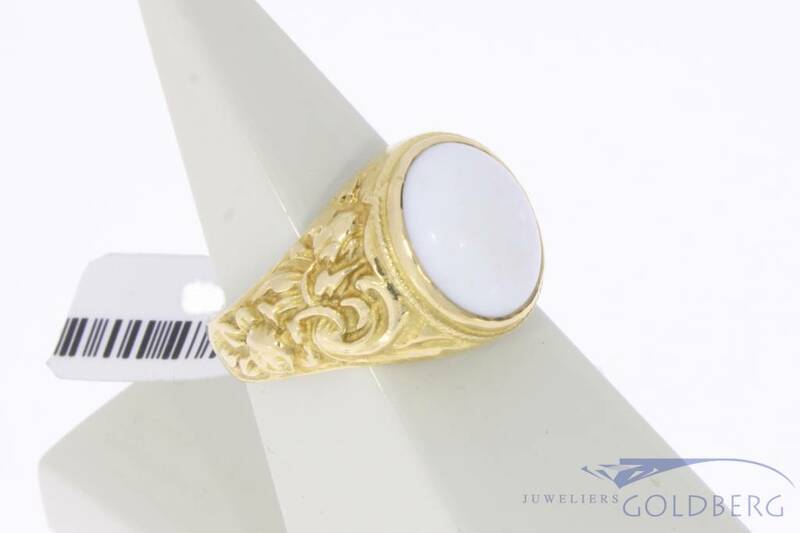 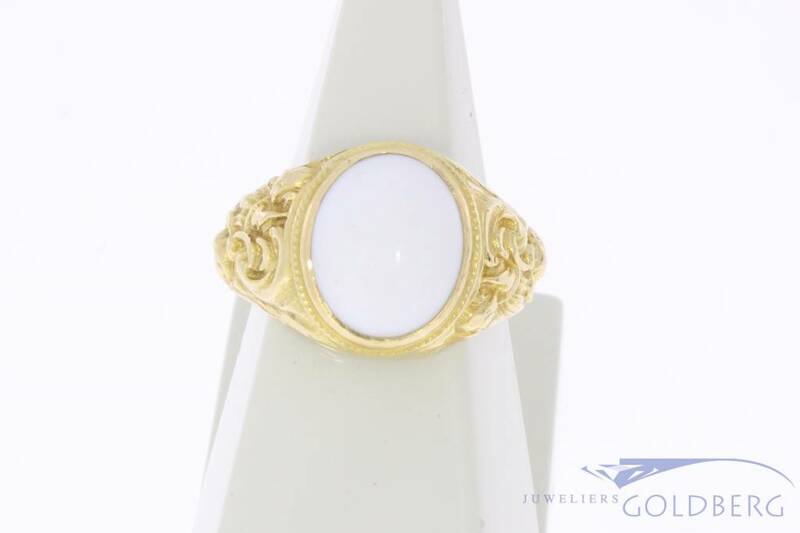 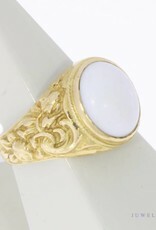 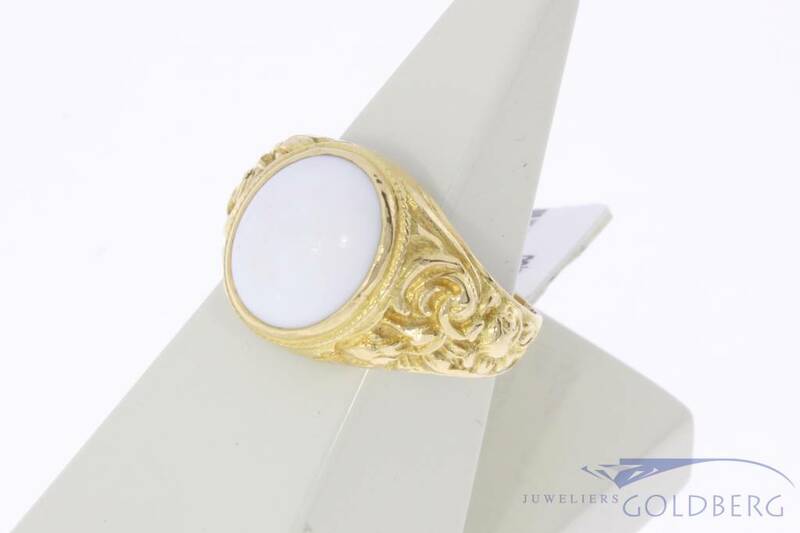 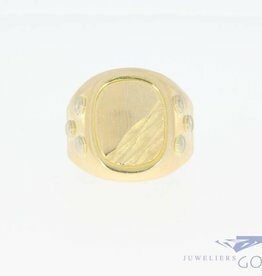 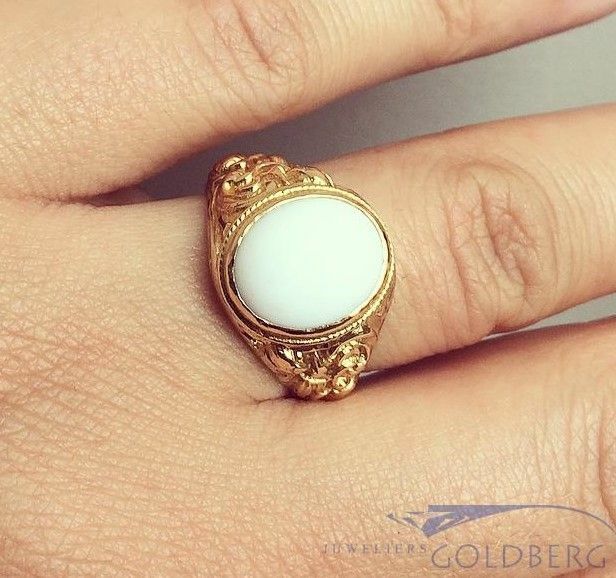 Beautiful, special and robust vintage 18 carat gold unisex ring with white onyx. 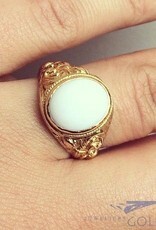 The gold is beautifully crafted and decorated. 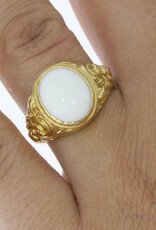 The widest part of the ring is approx. 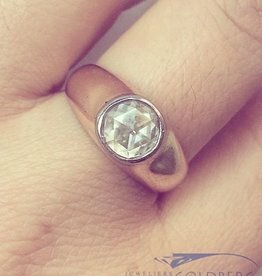 14 mm and the height is approx. 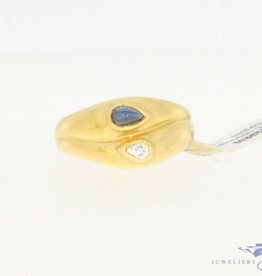 7.60 mm. 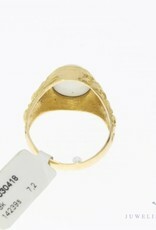 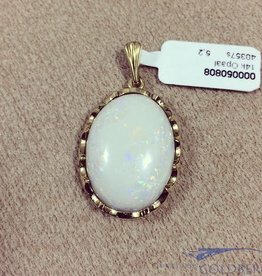 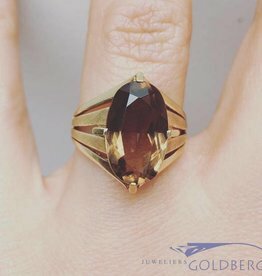 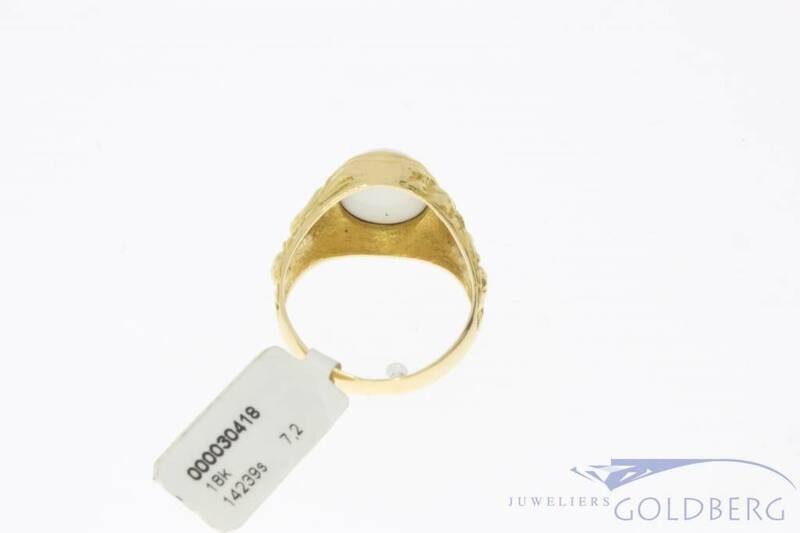 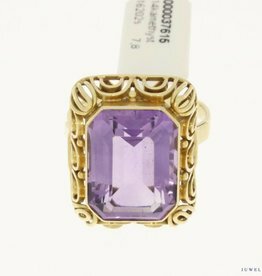 The ring size is 18.75 / 59 and the weight is 7.2 grams.